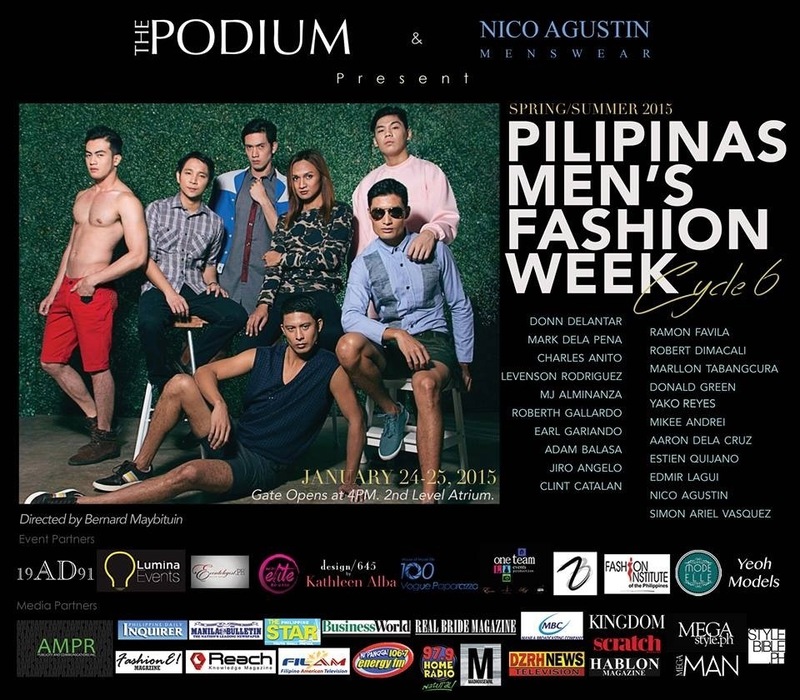 Kicking off Manila’s fashion spectacle this 2015 is Pilipinas Men’s Fashion Week now on its 6th cycle! Coming this January 24 and 25, this time at a much better venue at The Podium Mall at Ortigas, Mandaluyong City. Like its previous cycles, this cycle is to feature breakthrough and veteran fashion designers bringing style and design versatility on the runways. 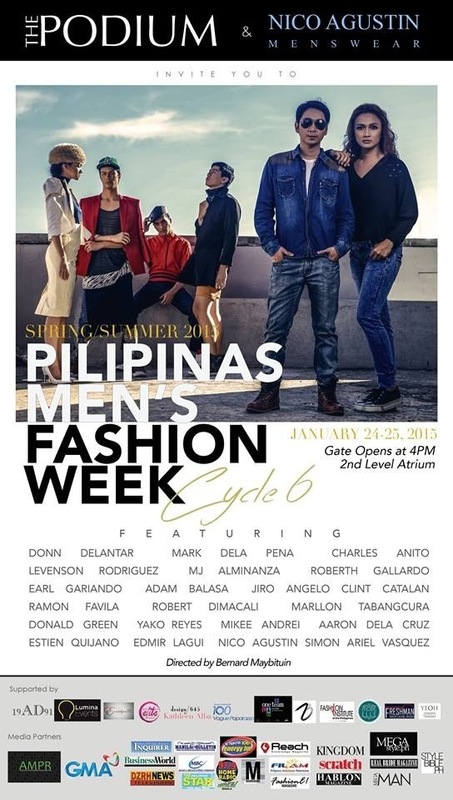 Check out their Facebook page and Instagram(@pilipinas_mensfashionweek) for more details! ← TheStyleRandomGuy – 2014 IN REVIEW!